The Weaver Curriculum® Volume 2 continues with a Bible-based format allowing you the tradition of starting your homeschooling day with Bible lessons. Unlike Volume 1, you'll dig deeper into specific periods of history. You'll study royalty as you learn of Moses' upbringing; miracles as Pharaoh's heart continually hardens against God; leadership as Moses leads the Israelites out of Egypt; and deserts as the Children of God wander aimlessly for forty years. You'll study early U.S. history and the settlement of our country as you read about the settlement of the Israelites. You'll also be glad to know that Volume 2 is set up with the same format as Volume 1. Color-coded pages set up by grade-level allow flexibility for teaching multiple students in grades K-6th at the same time. You'll find lessons for Bible, social studies, science, and language arts, as well as suggestions for health, art, and field trips. Vocabulary words are included at the end of each unit. Purchase the corresponding Day by Day and 7-12 Supplement and you'll also have a lesson plan book and a high school curriculum. 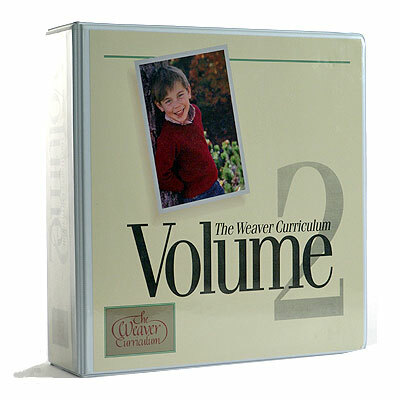 The non-consumable format makes the Volume reusable in later years. Order your copy of Weaver Volume 2 from Alpha Omega Publications today and teach your children together.